Ad-hoc and scheduled TopView Alarm Reports. By default, TopView stores alarm history to local files. As an option, TopView can also store the alarm history to Microsoft SQL Server. 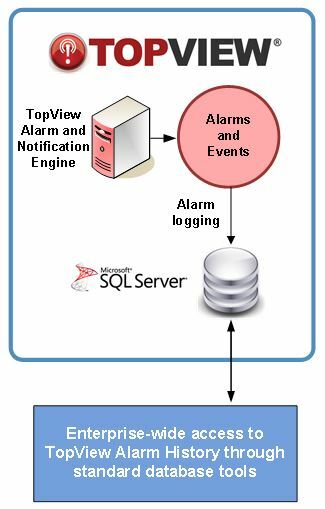 TopView alarm logging supports Microsoft SQL Server 2000 and later including the free Express versions of Microsoft SQL Server.